home > What's lino ? Access lino from your home or on the road, and make a sticky note online! Drag your sticky and drop it where you want to post it. You can move stickies within a canvas or to other canvases. You can post a sticky by sending an Email to lino from your PC or Smartphone. 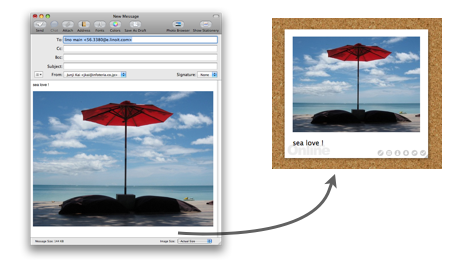 Take a note of your idea right away, and post it on lino. When you want to post a URL, texts, or graphics in the news and blog pages, you can click “lino it Bookmarklet”. You can easily post the page title, URL, selected texts and graphics to lino.